With over 3 million registered, .com.au website domains continue to be the go-to for businesses setting up a website*. It may be a popular option for Australian businesses but if you have a local business in Sydney or Melbourne, you may want to consider a .Sydney or .Melbourne domain instead. Here are 5 reasons to choose a local over a .com.au website name. If you have a local business, a .Sydney or .Melbourne domain name can help customers find you. Similar to how .org is synonymous with not-for-profit organisations, a .Sydney or .Melbourne domain name helps to signify your local presence, strengthening your brand. This is especially relevant for products/services where people are likely to prefer local suppliers. Builders, plumbers, local shop owners and professional services providers i.e. accountants would benefit from a .Sydney and .Melbourne domain. With 3 million .com.au domains already registered, your domain name may already be taken. .Sydney and .Melbourne domains launched in 2014 and are relatively new to the market, it’s likely that your business .Sydney/.Melbourne domain is still available. Instead of coming up with an alternative name or spelling for your .com.au domain, you’ll have a much better chance getting the website name you want with a .Sydney/.Melbourne domain. Google’s algorithms are constantly changing but one thing never changes – Google will always serve the most relevant results to its customers. If someone searches for ‘plumbers in Sydney’, Google will prioritise Sydney suppliers. Having a local domain helps Google recognise your business as a local supplier. 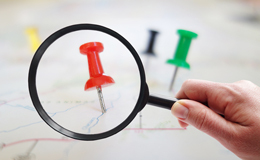 Having a local domain may have a positive impact on your marketing budget. A recent case study showed that migrating a website to a local domain can reduce your cost per click in PPC (Pay Per Click) advertising. The case study showed that the .Melbourne domain improved the business’ quality score which helped to lower costs (Google favours advertisers high quality scores. A lower cost per click could mean more leads and sales without increasing your budget. Website domains have always served a utilitarian function but they can also have branding benefits. Sydney’s dinning and shopping Mecca launched its online presence with Barangaroo.Sydney. AFL launched Play.Afl to launch its junior and youth football programs. More than 18,000 companies have signed up for .Sydney and .Melbourne URLs. If you’re considering a local domain, you’re in good company. If you have an existing domain, you should consider registering for a .Sydney or .Melbourne domain before your competitors do. If you’d like to use the .Sydney or .Melbourne domain but would prefer not to migrate your website, you can set up a redirect to link your existing domain to a .Sydney or .Melbourne extension. Creating your new local and unique URL with is quick, easy and affordable. Check if your .Sydney or .Melbourne domain name is available today.